“K” (King) in his field. 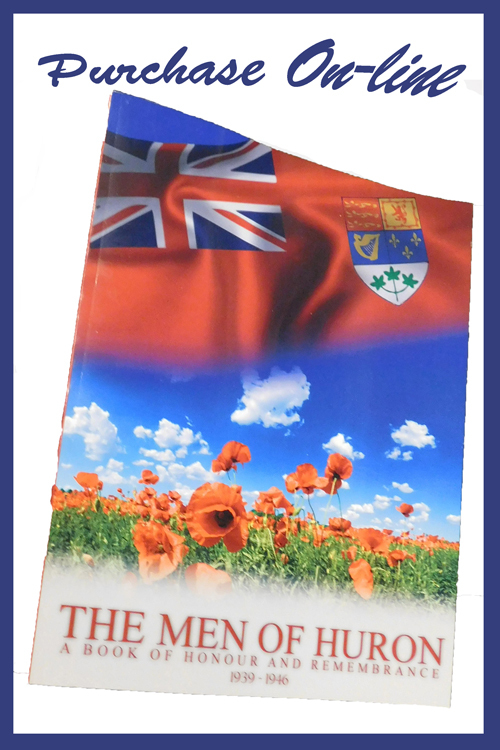 James was educated at SS #11 in Goderich Township from 1918-1921. From 1921-1927 he went to school for his senior matriculation. From 1927-1933 James studied for his Bachelor of Arts and successfully graduated from the University of Toronto on June 9, 1933. His interests including swimming, skiing, fishing and hunting. Following his enlistment and upon completion of his medical the RCAF considered him to be 37 pounds overweight. Aircraftsman Fraser was now with the British Commonwealth Air Training Plan. 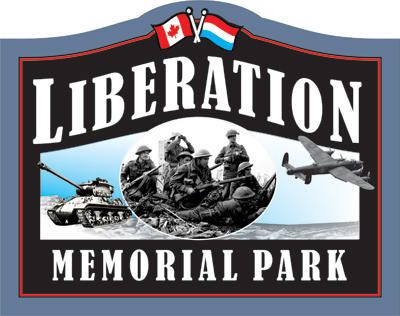 Aircraftsman Fraser was first assigned to No.1 Manning Depot at the Exhibition grounds in Toronto on September 9, 1942. It was here they learned to bathe, to shave, shine shoes, polish buttons, maintain their uniforms and to behave in the required manner. There was two hours of physical education each day as well as instruction in marching, rifle drill, foot drill, saluting and other routines. There was also the standard aptitude test – the RCAF Classification test. After 4-5 weeks, a selection committee decided if the Aircraftsman was going to go through for aircrew or groundcrew. Prior to his enlistment James had spent 100+ hours in the air as a civilian. This fact plus his keen interest in flying brought him to his next posting. While in Canada the RCAF considered him to be well motivated, alert, aggressive and of average capacity, had considerable flying interests and was stable. His night vision was above average. Aircraftsman Fraser is Taken on Strength at No 6 Service Flying Training School on November 24, 1942 based at Dunnville – Ontario. This training would cover 16 weeks. For the first 8 weeks, the student was part of an intermediate training squadron. The next 6 weeks was with an advanced training squadron and the final 2 weeks there was Bombing and Gunnery School. Trainees in the bomber training program would go to a school like No. 6 SFTS where they learned multi engine techniques on Avro Ansons. On March 7, 1943, he is Taken on Strength with No. 6 Initial Training School in Toronto – Ontario. Here the training would cover 26-28 weeks. Studies included navigation, the theory of flight, meteorology, duties of an officer, air force administration, algebra and trigonometry. There were tests with psychiatrists, the 4 hour long M2 physical exam, a session in a decompression chamber, a test flight in a Links trainer and academics. Following this their postings were announced. He is Taken on Strength with No. 4 Air Observer School based at London on May 29, 1943. This site is now the present day London International Airport. At this time Observers became known as “Navigators”. This was a 8 week course with 4 weeks of Bombing and Gunnery School and 4 weeks Navigation School. The Air Observer Schools were run by civilians under contract to the RCAF. The instruction was from RCAF personnel. The basic navigation techniques were dead reckoning and visual piloting, and the tools were the aeronautical charts, magnetic compass, watch, trip log, pencil, Douglas protractor and the Dalton Navigational Computer. Their training was done with Avro Ansons. He was appointed to the rank of Navigator on October 15, 1943. He is granted 14 days leave prior to going overseas. Navigator Fraser departed London on October 30, 1943 bound for No.1 YD or Overseas Transit Depot. He departs Halifax Harbour and Canada on November 1, 1943 and arrived in the United Kingdom on November 9, 1943. 1) Appearance and Bearing – meets all requirements. 2) Mental Alertness – has no difficulty understanding. 3) Power of Expression – states exactly what he means. 4) Self Confidence – uncertain and lacks force. 5) Initiative – displays initiative when course is clear. 6) Energy & Persistence - active and applies himself with diligence. 7) Accuracy & Reliability – can depend upon him for the performance of his duties. 8) Co-operation – rarely puts himself out to help others. 9) Interest in Station Activities – usually participates in activities. 10) Leadership – able to provide good leadership. 11) Service Knowledge – will improve his knowledge if not too much effort. 12) Trade Proficiency – satisfactory with average work. 14) Dependability – usually can count on and has loyalty. Navigator Fraser is stationed at the No. 3 Personnel Reception Centre from November 10, 1943 until February 22, 1944. 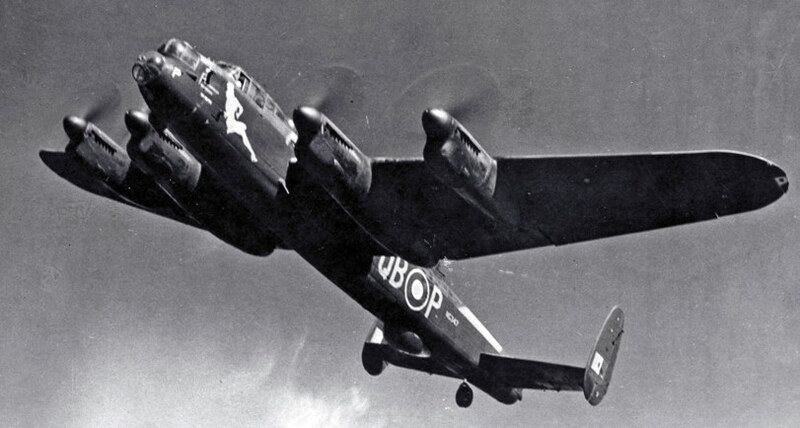 This was based at Bournemouth with a detachment for the RCAF at Innsworth – Gloucester. He is posted to No. 6 Observer Advanced Flying Unit. Here he does additional flying and Navigation Training. On March 7, 1944, he moved to a location that is not legible on his service file. We cannot even guess. Honeybourne – Worcestershire. The training here was to conduct training flights throughout the United Kingdom using twin engine aircraft. While here he was appointed to the rank of Flying Officer on April 15, 1944. Flying Officer Fraser moves to 61 Base on August 9, 1944. This is at RCAF Base Topcliffe in North Yorkshire between the dales and the moors. There were sub-stations at Wombleton, Dalton and Dishforth. 61 Base also had Heavy Conversion Unit 1666 with the Base name of “Mohawk”. Here was where Flyng Officer Fraser would be training in four engine heavy aircraft such as the Halifax at RCAF Dalton or on Lancasters at RCAF Wombleton. The routine at the Heavy Conversion Unit was…..
14) Automatic Pilot “George”, fighter affiliation. 1) Aircraft pre-flight checks, airfield, relief airfield, local area, become familiar with the approach and departure procedures. Crew of 8. 2) Duel – General air experience Flying Instructor, pilot, navigator, wireless operator + 4 crew. 4) Dual – three engine flying with a the pilot, navigator wireless operator and the Flying Instructor. 5) Solo – Circuits and landings with a full crew of 7. 6) Dual – Check overshoot procedure, forced landings with full crew of 7 plus the Flying Instructor. 7) Solo – No instructor. Circuits and landings, three engine landings with a full crew of 7. 8) Solo – No Instructor. Circuits and landings with a full crew of 7. 9) Dual – Three engine landings and overshoots, two engine airborne flying with a full crew of 7 plus the Flying Instructor. 10) Solo – No Instructor. Bombing practice, wireless operation, map reading, radar operation with a full crew of 7. 11) Solo – No Instructor. Air to air gun firing practise, aerial combat day & night, evasive flying, corkscrew flying, Evacuation / Baling out with a full crew of 7. 12) Dual – Fighter affiliation exercises with Spitfires, Hurricanes, Mosquitoes and Beaufighters with a full crew of 7 plus the Flying Instructor. 13) Solo – No Instructor. Fighter affiliation, three engine flying with a full crew of 7. 14) Solo – No. Instructor. Bombing practise with a full crew of 7. 15) Dual – Night circuits & landings completed in two nights with check dual second night prior to solo. Crew of 7 plus the Flying Instructor. 16) Solo – No Flying Instructor. Night circuits and landings with a full crew of 7. 17) Solo – Day cross country training with a full crew of 7. 18) Solo – No Flying Instructor. Night bombing with a full crew of 7. 19) Solo – No Instructor. Night cross country training with a full crew of 7. 20) Solo – No Instructor. Operational exercise with a crew of 7. Flying Officer during his training had been in the air a total of 98 hours. On October 11, 1944, Flying Officer Fraser is Taken on Strength by Group 6 Bomber Command RCAF and assigned to No 424 “Tiger” Squadron. The Squadron was adopted by the City of Hamilton, and adopted the “tigers head” in reference to the Hamilton Tigers rugby team. The Squadron was based at Skipton on Swale – North Yorkshire. Between December of 1943 – January 1945 the Squadron the Hadley Page Halifax Mk III. Halifax with Serial No. MZ 376 was built by the London Aircraft Production Group. It was a Mk III model and its airspeed was 215 mph. This the first mission for Flying Officer Fraser and his crew. The target for the mission of November 1, 1944 was Oberhausen – North Rhine – Westphalia. It was a location where the enemy had synthetic oil production facilities and this target was important. “K” King lifted off from Skipton on Swale in good weather at 4:54 pm. The light would have been fading rapidly at this time of year. A rough estimation suggests that the distance between Skipton on Swale and Oberhausen Germany was 405 miles depending on the route to the target. Wit h winds, it could have been a 2 ¼ hour flight which would put then over the target at 7:00 pm. It would have been very dark at that time. They would have had a tail wind to the target. They were moving East South East. as they formed up for the flight to target. 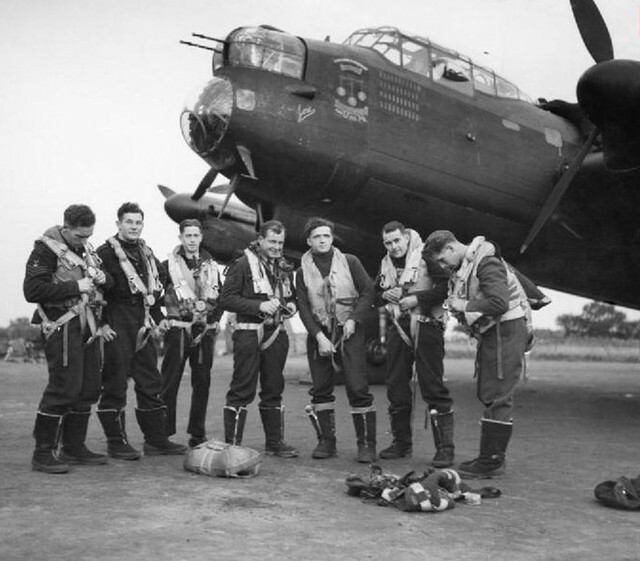 b) There were 288 aircraft involved in this raid and they numbered 202 Halifaxes, 74 Lancasters and 12 Mosquitoes and all were from Groups 6 / 8.
c) The target was cloud covered and they dropped their bombs from 17,000 – 21,000 feet. They dropped 1,979,000 pounds of high explosives or 989.5 tons. They also dropped 379,000 pounds in incendiary bombs or 189.5 tons. d) My estimation is they would have spent at least an ¾ hour for the approach and bomb run before making the turn for England. e) The bombing results were not concentrated and even when explosions and fires were visible at the target it was not totally destroyed. f) The distance between the target and the crash site was 110 miles approximately depending on the return leg home. This meant they were 30 minutes flying time from the target when they were shot down. g) Mr. Hallman of St Joost – Netherlands witnessed “K’” King falling to the earth in flames and this aircraft crashed at 8:30 pm during the evening of November 1, 1944. The personal effects of Flying Officer Fraser were returned to his family in Canada and included…..
1 black leather club bag. 1 pair black leather shoes. 1 pair toe rubbers. 1 pair brown leather slippers. 1 metal / collapsible coat hanger. 1 pant hanger. cigarette lighter, 1 pair cufflinks, 2 collar studs, 1 envelope with class photos / correspondence / photos. 1 book “Hell and High Water”. 1 gym vest. 1 book “For Whom the Bell Tolls”. 1 Officer greatcoat. 1 book “An Autobiography”. 1 Officer dress hat. 1 Officer raincoat. 8 shirts. 1 pair gray flannel civilian trousers. 19 pairs socks. 1 brown check civilian dress coat. 4 collars. 2 pair of Officer trousers. 4 neck ties. 2 Officer tunics “N” reverts. 7 handkerchiefs. 1 pair pant braces. 1 caterpillar pin. 1 blue sleeveless pullover. 1 pair red swimming trunks. 1 pair torn pyjamas 1 blue – gray pullover with sleeves. 1 pair brown leather gloves. 1 towel. There was a Telegraph dated November 6, 1944 from the RCAF Casualty Officer for the Chief of the Air Staff informing Miss Isabella Fraser that her brother Flying Officer Fraser and his crew failed to return from their mission of November 1, 1944 to Oberhausen in Germany. Included in the letter were the names and addresses of his crew mates. His assets from his father’s estate was $481.74. His assets from his mother’s estate who had passed away on March 11, 1944 was $3696.50. He had purchased $3,200 in Victory Bonds. His Last Pay was $660,90. The estate of Flying Officer Fraser was being tended to by his sister Isabella who had been names his Executrix. The total amount of his estate was $8,494.45. Miss Isabella Fraser received a letter dated February 10, 1947 from Wing Commander Dicks for the Chief of Air Staff and enclosed were the Operational Wings of her brother James and a certificate of recognition for his services to his country. He also expressed his sympathies. A letter from the RCAF Casualty Officer per the Chief of the Air Staff dated March 11, 1948 arrived for Isabella stating that information was now available about Flying Officer Fraser and his missing aircraft. The aircraft had crashed ½ mile east of the small Dutch hamlet of Joost, which which was ¾ mile east of Echt – Netherlands. It goes on to say that Halifax “K” King was involved in aerial combat with an enemy fighter and both aircraft crashed with the fighter falling a few moments before “K” King. A local citizen named Mr. Halman recovered the bodies of the bomber crew and buried them in the field near the crash site. He witnessed the events in the skies above him. The personnel looking for the crash site and the bodies located them on December 12, 1946. When they did locate the site, there were two heavy burned engines from the Halifax. The work was strenuous and very detailed and this was the reason for the delay in re burying the crew. The letter also informed Isabella that Flying Officer Fraser had been reburied in Neederweert War Cemetery.